Mmmmm, warm muffins, fresh out of the oven. 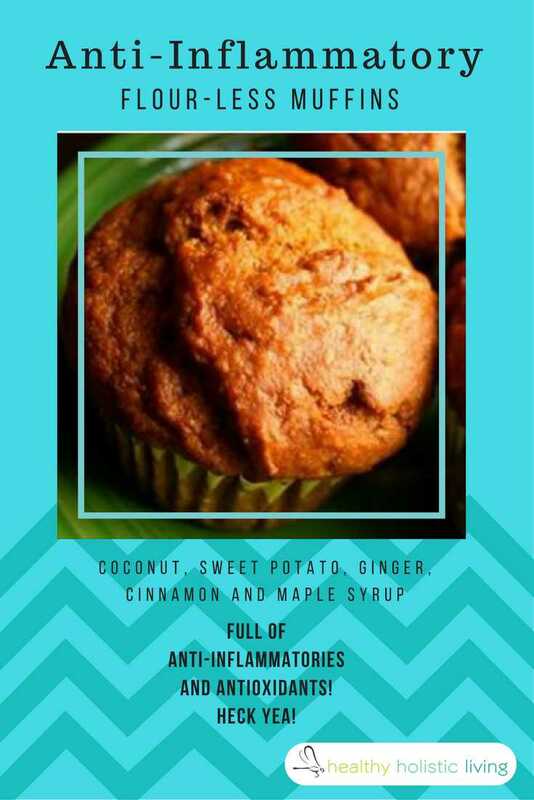 There is even MORE to love about these particular muffins because they are FULL of anti-inflammatories and antioxidants! Heck yea! Free radicals affect the DNA makeup of your cells and can cause mutations. Cell mutations lead to various cancers. Inflammation causes multiple chronic diseases and can lead to health issues if not treated. Oil a 12-hole muffin tray. Poke holes in your sweet potato and place on the middle rack – cook for 60 minutes (or until soft). Remove sweet potato from oven and let cool. Scoop the sweet potato from the skin and place in a mixing bowl. Discard the skin or eat it as a snack – it contains a lot of the same vitamins as the insides! Add olive oil, beaten eggs, coconut milk, and maple syrup to the sweet potato and mix until it is smooth. Pour the dry ingredients into the sweet potato and mix until well combined. Pour the batter in the muffin pan and fill each tin until ⅔ full. Cook in the oven on the middle rack for 30-35 minutes (or until an inserted knife in the middle of the muffin comes out clean). Now take that muffin and eaaaaaaaaaaaat it. Delicious muffins WITHOUT the” muffin top” – Hallelujah! Bake a batch today for your next holiday party and you will be sure to wow the crowd. Don’t forget to SHARE this article with the bakers in your life as well!